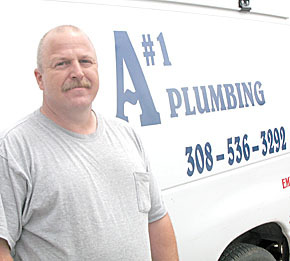 Michael Vanderpool recently opened his business as an independent plumbing contractor from his home near Belgrade. He has 20 years of experience in plumbing and serves a wide area of central and northeast Nebraska. He and his wife, Kalene, and daughter, MiKaella, moved to a farm near Belgrade three years ago.